Robert Bresson (1901-1999) stands apart from all other directors. He has a distinctive style, but there is considerable disagreement concerning what, exactly, is the nature of that style. Although there is much written about him, yet he seems still to be the least understood famous director. There is even a dispute concerning his birth year: it was either 1901 or 1907. The one thing that people seem to agree on is that he was very good. Although his films were not successful at the box office, he still has a major following among serious cineastes, was well respected by his fellow film directors, and was a significant figure in the French intellectual scene. So what can we say about that style of his? 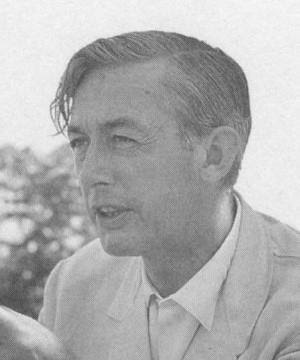 Critics and scholars often refer to Bresson’s style as “spiritual”. Paul Schrader, prior to launching his career as a screenwriter and director, characterised Bresson’s style as “transcendental” . Although these terms strike a chord, there is no common agreement as to what they entail precisely. The discourse on this subject is somewhat encumbered and made more complicated by several factors that are brought up in the analysis of Bresson’s work. One issue is his Roman Catholic upbringing and the extent to which he was influenced by Jansenism and the various disputes that the Jansenist movement generated. In addition some French scholars have been influenced by postmodernist thinking, which in my view is overly reliant on a linguistic-based structuring of existence and is inappropriate for Bresson’s highly visual style . If a cinematic experience is to be profound and to have a direct impact, however, then it should not require such a background analysis for appreciation. So let us just consider the evidence of Bresson’s films as we have them available today. They represent, in my opinion, thoroughgoing examples of Existentialism in Film, for they all confront us with the issues of a lonely individual’s attempts to come to terms with his or her ultimate fate in the universe. But unlike many Existentialist films, Bresson’s films are not representative of Expressionism in Film. We do not see a “coloured” world that represents the exteriorisation of someone’s inner turmoil, as is the case in an Expressionistic film. Instead, we are presented with seemingly meaningless visual fragments, or impressions, which we must collect and assemble into a coherent understanding of the inner turmoil of the principal character. Thus, we could say that Bresson is an “Impressionist”, rather than an Expressionist. But there is no Impressionist movement with which we could associate Bresson’s work: he stands alone as his own archetype. This Impressionistic cinematic style might have evolved from Bresson’s early career in painting. One can think of his individual scenes almost like Van Gogh’s palette knife: each shot, always of short duration, is individually crafted like a thick stroke of the palette knife to fit into the larger mosaic of his film. Thus Bresson had no interest in having actors “play a role” (he was famously unpopular with actors), and so usually chose actors with no professional experience. Bresson did not want narrative threads to be portrayed by the actors, but, instead, wanted the viewers to be forced to make that narrative composition in their heads. He stated that he disliked the theatre, because it inherently represents the author's own narrative of the events. All the events in a drama, according to Bresson, are connected to identified causes – causes that have been identified by the author. But when we have our own experiences, there are no immediately perceived causes for events – those causes are only attributed later by us, upon reflection. At the time we experience the immediate events, there are no causes tied to them. Bresson didn't want his actors to introduce their own interpretations, either. His actors and actresses are usually expressionless in his movies and appear to be “flat”. They are often shown with downcast expressions, which causes us (the viewers) to contemplate their inner experiences (which are usually not at all obvious to us). As a consequence, after his first two films, Bresson always used actors (which from his background in painting he preferred to call “models”) with no previous acting experience. Intriguingly however, though his models usually played people from very ordinary or working-class circumstances, they were often drawn from highly intellectual circles. For example, Florenc Delay, who played the lead role in The Trial of Joan of Arc, was the daughter of a French Academician, and her own novels led to her later elevation to the French Academy. Anne Wiazemsky, who played Marie in Au Hasard Balthazar, was the granddaughter of Francois Mauriac, and she also later become a novelist. In addition, there is usually no backstory in a Bresson film. We are given very little context at the beginning of the film, even though on many occasions there is a narrative voice-over present which could have been used to supply us with background context, if Bresson had so desired. Just as there is no assumed or understood past that took place before the film events shown, there is usually no clear understanding of a future for the characters when the film comes to an end. Certain things have been resolved, but other aspects remain open. The camera in Bresson's work does not have the character of the objective silent witness, which it usually has at times in most films. There is no objective point of view and usually no establishing shots that serve to give us an objective sense of a the situation and spatial geometry of a scene. Often we are shown only close-ups of hands and feet concerning a particular activity, and we must extrapolate from then to infer the larger surroundings. From this description, it may sound as though Bresson is merely trying to play a game and keep the viewer guessing, but I don’t think this is the case. The close-up shots of hands seem psychologically realistic in the course of the actions shown. These close-up actions are always individual foci of attention that reflect the way that we actually experience and remember experiences – the experiences associated with our own individual interactions with things in the world. When we watch actors in the film engaged this way, we share and empathize with the nature of that existential experience and find ourselves getting “inside” the character shown in the film. This empathetic effect is accentuated by Bresson's use of sound. His soundtracks always have very crisp and individuated noises that can be identified with distinct activities that are going on, often off-camera. Of course, all European films made in Bresson's time typically did not use synchronous sound, and sound effects were dubbed in at the editing stage. But Bresson's injection of unique, recognisable sounds was distinctive. It gave the soundtrack the special flavour of sounds we hear when we are withdrawn from normal social discourse and are intensely listening to the sounds around us. Thus the sense of withdrawal on the part of the film character is passed on to the film viewer and further supports our identification with the main character in the film. Despite the difficulty of Bresson’s cinematic narrative style, he is certainly one of the most interesting filmmakers, and his films bear repetitive viewing. What he showed was the anxiety, uncertainty, and tragedy of existence. There is always an appreciation that, though grace may never be achieved, yet it is perhaps always a possibility. This is the Sufi’s way.